The Women’s Christian Temperance Union erected this monument in 1906. The Civil War soldier was added in 1909 when the GAR Post #511 and the Berlin Grange raised funds from folks around Rensselaer County to turn it into a memorial for all those in the county who served in the Civil War. After World War II the granite monument was added to honor those who served in World Wars I and II. 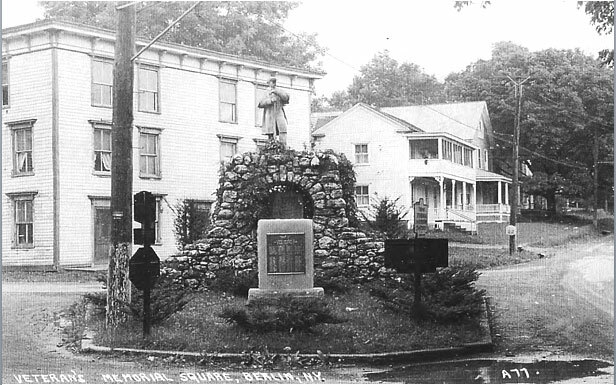 It stands on the corner of Plank Road and North Main Street (old Route 22) in the center of Berlin. At the left in the background is the home of world-famous harpist, Van Veachton Rogers.